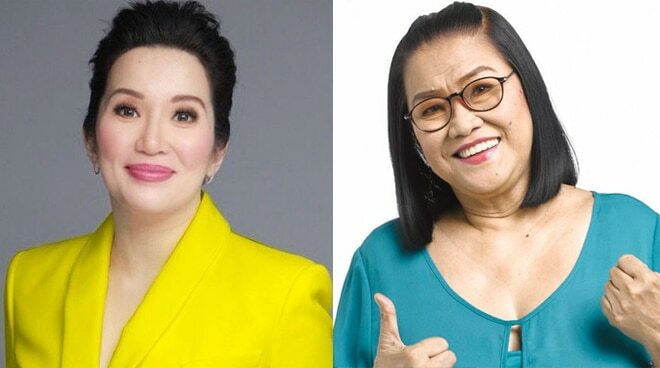 Lolit Solis took to Instagram to thank Kris Aquino for being generous. The Queen of All Media gave her a birthday gift together with a personal letter. “My dear nay Lolit, belated happy birthday! Remember — you’re going to be good to me for 2 months and then July I’ll replenish your GCs. Love, Kris/June 2018,” she wrote. “Waley na sumpong ni Tetay, back to sweetie pie na siya hah hah. Kaloka siya talaga, sabi niya ano type mo, pesos o dollars! May choices ha, pero pinili ko iyon S&R kasi nabalitaan ko na almost 500K worth ng gift certificate ang binili niya, so iyon hiningi ko. At promise ako I will be mabait para padala kapalit sa July,” Lolit wrote. This is not the first time Kris gave her a gift. Previously, she gave her “ampao” with dollars on it.